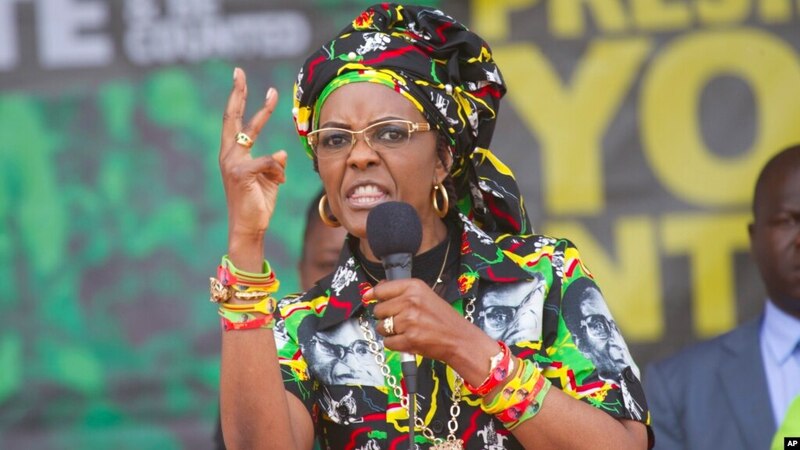 WASHINGTON — Two ivory dealers have appeared in court facing charges of illegally selling unregistered ivory products in a case which has sucked in former first lady Grace Mugabe and President Emmerson Mnangagwa’s child, Tariro. State prosecutor Francis Mukumbiri told the court that Faricken Madzinga and Tafadzwa Madzinga were arrested while attempting to sell ivory worth thousands of dollars to an Australian, Adrian Steirn. The accused’s attorney Gift Mtisi asked the court to avail some documents showing that Steirn was a journalist, who was allowed to work in Zimbabwe under certain conditions. Mtisi also wants the state to compel Econet Wireless to release mobile phone conversations linking Steirn to the alleged crime. He also wants to know the relationship between a Polish national Anna Helena Rubik and Steirn, who used a sim card linked to Rubik. The court papers also revealed that Mudzingwa used to allegedly chat with President Mnangagwa’s daughter, Tsitsi. The contents of the chats have not been made public. Steirn told AlJazeera that the case is linked to Mrs. Mugabe, who has been accused by the government of attempting to smuggle ivory to China, United Arab Emirates, United States and other countries. Court papers, however, do not spell out the former first lady’s role in the illegal sale of ivory in this particular case.